UPDATED: Sat., March 18, 2017, 8:02 p.m.
SALT LAKE CITY – In a sport in which gigantic athletes are not allowed to touch yet are constantly crashing into each other, a certain amount of controversy is expected. The most hated player at Duke doesn’t draw so many boos as an exceptional college basketball official. Most calls are iffy, many plays that could be called are allowed to slide. But in Gonzaga’s 79-73 win over Northwestern on Saturday there was the rarest of all NCAA Tournament sightings: official acknowledgment that a call was blown. And boy, was it a big one. With 4:57 left in the game, the eighth-seeded Wildcats were in the midst of a torrid comeback. The Bulldogs had seen a 22-point lead whittled down to merely five when NU center Dererk Pardon lofted a shot toward the basket. 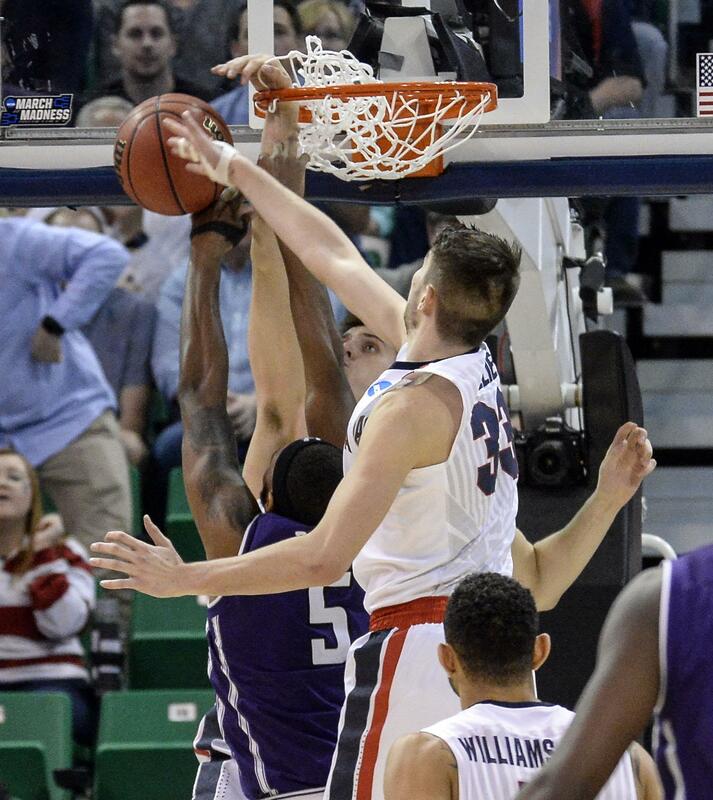 Gonzaga’s Zach Collins stuck his hand through the basket to block the shot, an obvious no-no that should have been ruled basket interference, causing the basket to be counted and pulling NU within three points. The call was so obvious, in fact, the NCAA issued a statement immediately after the game acknowledging that the officials were in error. But that apology was far too late to stop NU coach Chris Collins, who had a front-row seat to the play that happened just a few feat away from his team’s bench. Collins raced after the officials arguing the lack of a call – he’d already received a few warnings for his protestations – and was issued a technical foul. Gonzaga was allowed to choose its free-throw shooter and Nigel Williams-Goss hit a pair to extend the lead to 65-58. Instead of being within three points for the first time since the 15:29 mark of the first half, the Wildcats trailed by three possessions. Collins sarcastically accepted the NCAA’s apology, saying, “That makes me feel great,” but holds no animosity toward the officials. Published: March 18, 2017, 6:25 p.m. Updated: March 18, 2017, 8:02 p.m.